The Alaska Legal Resource Center is a high quality, content-based website that is updated frequently. The site is dedicated to providing free access to public legal resources, such as case law, court rules, statutes and regulations. 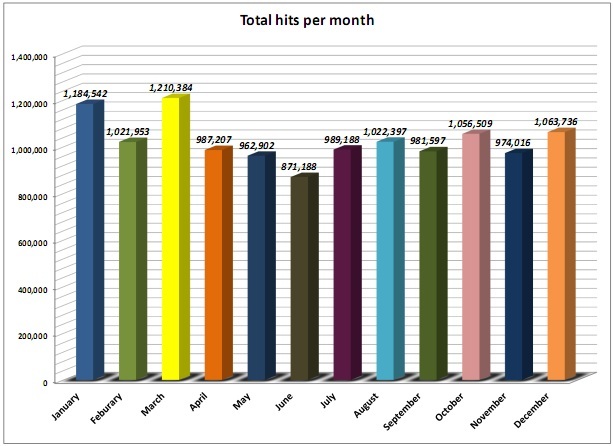 We attract thousands of unique visitors per day, see graph below for current traffic trends. More detailed reports are available upon request. Listing in Alaska Attorneys or Support Services: $10/mo. Banner advertising on entire Alaska Legal Resource Center: Pricing based on estimated impressions/clickthrough, please inquire. If you don't already have a web site, we will create a basic web page for $100. Additional web site design is available at $100/hour. We can work with your exisiting logo and marketing material if needed. Page Sponsorships are also available. Page sponsorships are links at the beginning of a page, including the option for a graphics "banner" or a graphic "button" and text link (See below). Sponsorships vary in price depending on the number of pages the graphic appears on and the number of users visiting those pages. Advertising on the AlaskaCam is $100/mo for a 100 x 100 pixel graphic. This price is subject to adjustment without notice. However, we will honor any long term contracts at the then current rate. In other words, if you commit now to six months, you can lock in the current rate. 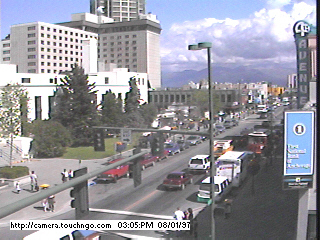 The AlaskaCam, a live shot of Fourth Avenue in Anchorage, Alaska. Many people visit the AlaskaCam before they come up to Alaska. This is a perfect place for tourist related advertising. Touch N' Go Systems reserves the right to refuse advertising it considers inappropriate. Touch N' Go Systems, Inc. Copyright © 1995- 2005 Touch N' Go Systems, Inc. All Rights Reserved. No copyright claim is made to the text of the Opinions or other government works.